I’ve covered Roulette Bets, however I’ve been asked to go in-depth about all of the bets as well with specific examples. So I wrote an Inside Bets article and an Outside Bets article. This article on Roulette Outside Bets will go into detail about all of the outside bets you can make, and I’ll be using American Roulette odds for the whole article, just so I don’t confuse you by listing all separate odds. Everything is pretty much relevant for any form of Roulette of course – but American Roulette is a great base to start discussing the odds. Let’s cover these in detail, shall we? Of course we shall! This one is very simple – you’re betting that the ball will land on red. The number doesn’t matter – as long as it is red. That means if it lands on red you win, if it lands on black, 0 or 00 you lose. Payoff for this bet is even money – bet $10 to win $10. Of course your odds of getting it are slightly lower due to the 0 and 00 that are on the wheel. Hence why a lot of people prefer European Roulette because their odds are not as low. Same as the above – you bet on black, and you are betting that black will come up. 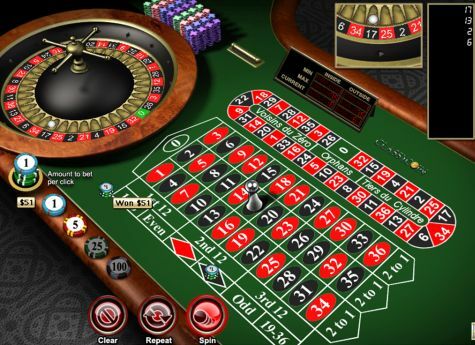 This one is very easy to do – place the chips that you wish to bet in the black layer of the Roulette betting area. Simple as that. And as Wesley Snipes says – Always Bet on Black. This one is where colour doesn’t matter – perfect if you are colour blind! The ball will land on a number, and all you have to bet is that the number will be even. If it is even – meaning it ends in 2,4,6,8 or 0 then you win the bet. 1:1 payout so $10 returns $10. Note that this does NOT include 0 or 00. You place the bet on the nice big box marked “Even” on the betting layout. Similar to the above “Evens” bet, except this time you are betting that an odd number will come up. 1,3,5,7,9 – as long as it ends in one of those, you’re a winner. You will bet with a 1:1 payout and you place the bet in the “Odds” section of the betting layout. These above four bets are great beginner bets to get you started – and although every spin is independent of the other it allows you to bet with a minimal risk. Note that often at a table if there is a “team mentality”, such as Craps, you’ll see everyone betting on the same colour or odd or even. Always best to go with the flow there. With this one, you’re covering a wide spread of numbers similar to the above. When you place a low bet, you are betting that one of the numbers that come up will be the bottom half of 36, which is 1-18. Note that this does not include 0 to 00. So if 14, 16, 7 or any of the other numbers come up you win and you get a payout of 1:1. This on the Roulette table will be listed as 1-18 usually, and will be right beside the Odd/Even betting areas. Similar to Low Bet, except High Bet means you are betting 19-36 aka the highest numbers on the Roulette wheel. Exact same details here – bet $10 to win $10. 0 and 00 don’t count. That’s a European Roulette table, but as Bruce Robertson in the movie Filth says – “Same Rules Apply”. At least when it comes to this bet anyway. See where it is listed “2 to 1” at the bottom? That’s where you place this bet. So if you place it on the very left “2 to 1” you would be betting that column – 1, 4, 7, 10, 13, 16, 19, 22, 25, 28, 31 and 34. Honestly I’ve never seen the appeal of the columns bet myself. Usually it’s too many numbers to process for me, and I’m left unsure whether I am a winner or not for a good few seconds while I check the board. But yeah that’s how you do it – and 2 to 1 is the payout as well so $10 gets you $20. 0 and 00 don’t count of course. This one is similar to the Column Bets except you’re betting sequential numbers this time. Where it says “1st 12”, “2nd 12” and “3rd 12” is where you want to place your bets. Place your bet on the “1st” 12 for example, and you’re betting that it will land on 1-12. The odds for this is also 2-1 so $10 gets you $20 back.